Celine Kiernan is the critically acclaimed and multi-award-winning author of five novels for young people. Her ghost story, Into the Grey, was the first book to receive both the CBI Book of the Year Award and the CBI Children's Choice Award. It won the 2013 Readers' Association of Ireland Book of the Year Award and was shortlisted for the 2014 Japanese Sakura Medal. She is best known for The Moorehawke Trilogy, which won the Readers' Association of Ireland Award for best book and was shortlisted twice for the Irish Book Awards and was longlisted for the Australian Inkys Award. It has been translated into nine languages. 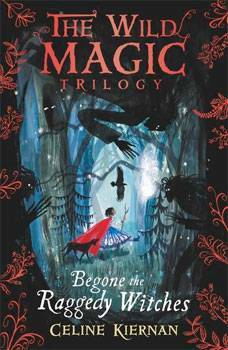 The Wild Magic Trilogy is Celine's first series for middle-grade readers. She lives in Ireland. Victoria Semykina is an award-winning illustrator and fine artist who has been working in the fields of editorial, advertising and book illustration since 2005. Born in Moscow, she studied at the State Academic Art Institute, and later at the Bologna Academy of Fine Arts. In between illustrating, she loves observing people, travelling and riding her red bicycle, which features a useful basket for collecting materials for her collages and other artwork. Victoria lives in Bologna, Italy.